Nashville, TN -- It is with great sadness that we announce the passing of beloved singer and songwriter James King, who was affectionately known as "The Bluegrass Storyteller." He was 57 years old. King, a recovering alcoholic, suffered complications from a prolonged battle with cirrhosis of the liver. As most readers know, James King was in the hospital for three weeks and has just recently been released. James posted yesterday, I have spent 20+ days in the Cox South Hospital in Springfield, Missouri and Roanoke Memorial Hospital in Roanoke, VA. I've had issues with and have been treated for kidney stones, an infected gall bladder, blood clots and a few other minor complications from the surgeries. I'm on the mend now and recuperating comfortably at my new home in Oak Level, VA. I intend to be back on the road and singing again as soon as the good Lord allows. Hopefully within the next couple weeks I'll be back on stage. I want to thank my family, friends and fans for all of the support, get well cards and monetary contributions. It sure means the world to me and has really helped in the healing process." Hiltons, VA -- Sunday, November 17th, 2013, at 2:30 p.m., the Carter Family Fold in Hiltons, Virginia, will present a special gospel concert by the James King Band. James has been named SPBGMA Traditional Male Vocalist of the Year seven times. 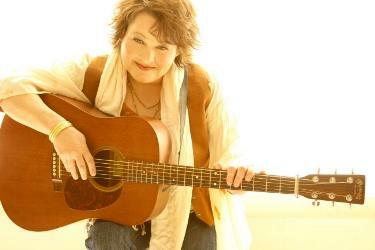 2013 marks the sixth annual gospel event in honor of Janette Carter. Admission to the concert is $10 for adults, children ages 6 to 11 $3, under age 6 free. Tickets will be available only at the door on the day of the concert. Doors will open at 1:00 p.m.
From the earliest days of his performing career, James King has been an advocate for and exponent of the traditional sound in bluegrass. 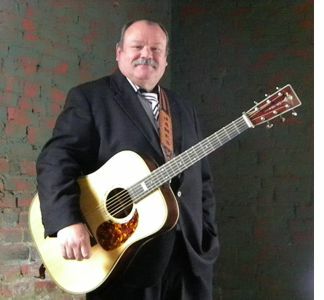 His heartfelt lead vocals and robust delivery demonstrate both his familiarity with and love for traditional "old school" bluegrass, country, and gospel music. In performance, his bands have invariably been on the traditional end of the scale. He loves strong, honest lyrics, and is a master of finding what engineer Steve Chandler has referred to as "the James spot:" that stark, exposed nerve, where the emotional truth of the song lives. When it happens -- and it happens often on Three Chords and the Truth -- it is an amazing thing to hear. On September 30, 2013, Rounder will release Three Chords and the Truth, by legendary bluegrass singer James King. On this album, King, who is known as “the Bluegrass Storyteller,” offers his unique take on twelve songs from the country music canon, including compositions by Hank Williams, Don Gibson, Vern Gosdin, Leon Payne, Bobby Braddock & Curly Putnam, Warner Mack, Billy Joe Shaver, and Harlan Howard. The 10th Annual Blazin' Bluegrass Music Festival is destined to be one of the best festivals of the region -- one that you won't want to miss. Offering a stellar lineup of award winning bluegrass artists is just the beginning. Other activities include: Kids Activities, Train, Inflatables, Huge Arts & Crafts Fair, Corn Hole Tournament, Veterans Ceremony, Chance to Win Door Prizes & all the Great Festival Foods. 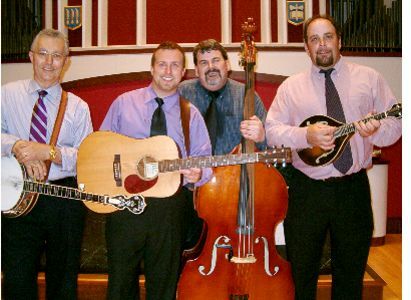 Whitley City, KY -- The Blazin' Bluegrass Festival kicks of on Monday Sept 17th with early free events and Local Attraction events leading up to the Bluegrass Fest starting on Thursday September 20th. Early events include Camping, Camp Fire Jams Corn Hole Competitions and Pot Luck Dinners. Local Attractions are offering discounted Fun Adventures like the Big South Fork Scenic Train Ride, White Water Rafting Trips, Canoe Trips, Wagon Rides and Horse Back Riding. Plenty to do all week long for everyone. Julie, James King's wife, informs us that bluegrass music artist James King has been hospitalized. She wrote, "Regreatably, I write this with heavy heart, as I just left the ER of the hospital, here in Va. James will be out of commission for a while, I hate to say. The DVT (Deep Vein Thrombosis) has gotten the best of him, and a vascular surgeon has been called in. His left leg is blocked from his groin to his ankle, with collapsed veins. There also seems to be gall bladder issues."